Pontotoc – Mr. Bobby Joe Holloway, 67, died Monday, January 28, 2019 at Sanctuary Hospice House following an extended illness. He was born July 21, 1951 in Greenwood, Mississippi to Oliver Holloway and Lorene Helms Holloway. Bobby was a graduate of Shannon High School and worked many years as a truck driver employed by Wrangler Manufacturing and later by Taylor Trucking. He married Barbara Gentry on November 10, 1972 and they shared forty-four years together before her death October 28, 2017. He was a passionate, loving husband and father. He had a giving heart and was a good friend to others. He loved his dog, Peaches and enjoyed fishing. Bobby was a spiritual man and Baptist by faith. A celebration of life service will be at 1 PM, Thursday, January 31, 2019 in the Tupelo Chapel of Holland Funeral Directors with Bro. Ray Ware officiating. 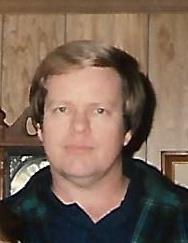 Private burial will follow in Immanuel Cemetery in Pontotoc county. Visitation will be today (Wed.) from 4 PM to 7 PM and Thursday from 12 noon to service time. Condolences to the family may be posted at hollandfuneraldirectors.com. Survivors include his daughter, Valerie Holloway of Pontotoc; brother, Jerry Holloway (Sue) of Greenwood; sister, Peggy Maycock of Louisville; brother-in-law, George Gentry of Tupelo; 2 sisters-in-law, Judy Ware (Ray) and Kathy Whitt, all of Toccopola; many nieces, nephews and their families, and numerous cousins. He was preceded in death by his parents, wife, 2 brothers Charlie Holloway and Carl Douglas Holloway, and father-in-law and mother-in-law, Cortez and Jean Gentry.